Are in the market for the best Hunterdon County Gutter Replacement Contractor? A Hunterdon County gutter repair contractor may be what you need. A strong functioning gutter system is almost invisible, allowing the roof to drain and prevent flooding and leaks from happening around your home. Whether you need gutter replacement due to damage or just wear and tear, a gutter replacement specialist can verify exactly what you need for your home. Gutter replacement may not be on the top of the list of home remodeling or budget but if you don’t replace or repair your gutters, your home budget could increase due to unwanted additional repair bills. When the gutters are not working well, they can cause leaks and damage to the exterior of the home and even cause leaks inside of the home. Accumulation of snow and ice inside the gutters can also cause serious damage clearly showing that water is not moving freely. Dams are the most severe problem and can cause a lot of money to the homeowners. Water that pours out over the gutters during a rainstorm is a sign that the gutters may be clogged or is in need of cleaning. When you see warped or sagging gutters that can mean that they are gradually coming away from the home causing water to run behind the gutters. Rust stained gutters or siding also show a sign of leaks somewhere that the gutters are not working properly. When there is a leak it is usually caused by incorrect water running down the gutter and draining against the home. Newer gutter systems that are simply clogged may not need to be fully replaced. Installing a gutter guard system may be enough for the water to drain easily. If you have experienced winter backup and some roof leaks due to ice blockages, installing a gutter heating system can help the ice to melt and flow during those cold winter months. There are a few options for gutter replacement. The least expensive is a do it yourself gutter replacement, especially from homeowners that like to work around the house. However, your home draining system is something that should be inspected by a professional making sure everything is in good working order and protecting your home. When you are looking for quality work it is worth looking for a gutter replacement contractor who is able to install seamless gutters. 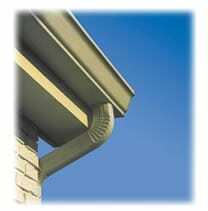 Seamless gutters have an effective gutter guard, which is a worthwhile investment for your home. They do not warp or sag and a gutter cover also means you will not need to spend money on gutter cleaning every year. Look at other support systems when looking for gutter replacement. These supports are gutter covers and gutter guards to protect your gutters from getting filled up with leaves or debris, especially after a severe storm. If you happen to live in a cold climate, look for gutters with heating systems, that way you can avoid accumulating snow and ice. When you are looking for a Hunterdon County Gutter Replacement Contractor, give Markey LLC a call at 908-722-8958 and make an appointment for an estimate. Our gutter replacement process ensures that water will run clean and clear from your roof and away from your home. Learn how our gutter system can help you prevent clogging and ice blockages. For more than 25 years we have served the New Jersey community with pride and integrity. We also have a proven record from many satisfied customers. We use the highest quality products and our staff treats every customer with professionalism and respect. Contact us today, don’t wait!